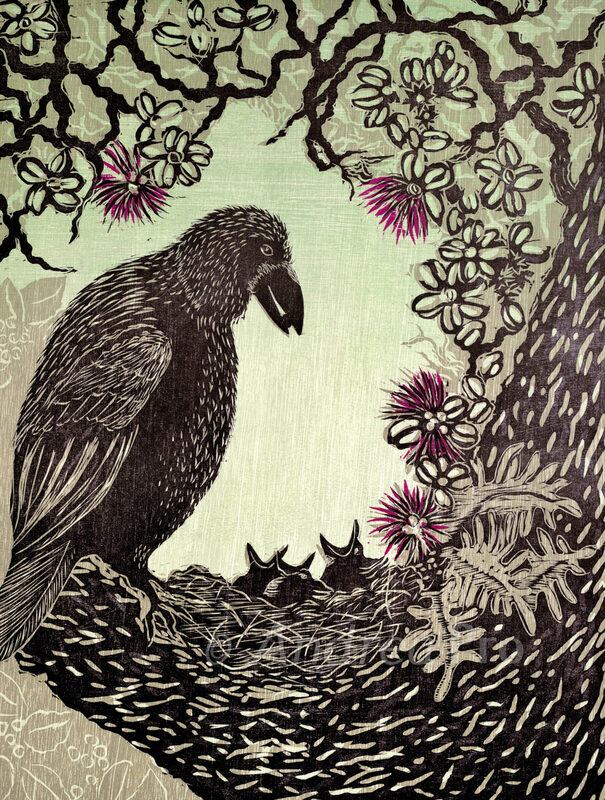 “Happy Mother” was inspired by meeting the ‘Alala endangered native crow on my visit to the Keauhou Bird Conservation Center at Volcano. The ‘Alala are supposedly extinct in nature and are being raised in captivity with the intention to release colonies back to the wild. This image is my vision that I hold for the ‘Alala living again in the wild.